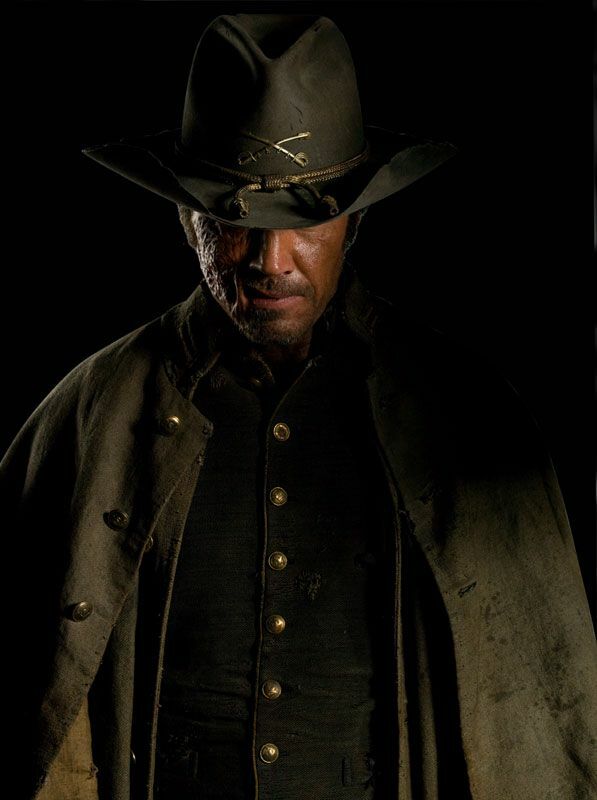 According to our sources and contrary to current reports, Jonah Hex will hit theaters on June 18th. We’ve also learned that the trailer will debut on the SyFy channel the night of April 29th. The trailer will then be available online later that night or sometime soon after. We can also confirm that the trailer will be attached to A Nightmare on Elm Street, which hits theaters the following day. Finally, a new poster for Hex will debut around the same time as the trailer. The poster that’s currently online was made specifically for last year’s San Diego Comic-Con and is not an official poster. 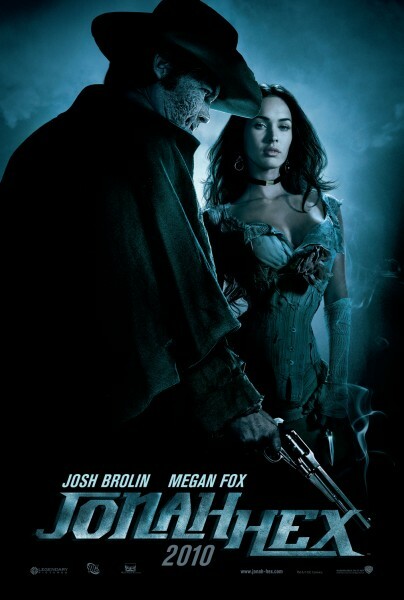 Jonah Hex is directed by Jimmy Hayward (Horton Hears a Who) and stars Josh Brolin, Megan Fox, and John Malkovich. Hit the jump for a brief history on the film’s production, the official synopsis, and a look at the Comic-Con poster. Jonah Hex was filmed last May. Brolin even joked at Comic-Con that Steve helped the movie get made. We reported last December that the film would be doing re-shoots from January 18th through February 1st. You can click here to see set photos from those re-shoots. Jonah Hex (Josh Brolin) is a scarred drifter and bounty hunter of last resort, a tough and stoic gunslinger who can track down anyone…and anything. Having survived death, Jonah’s violent history is steeped in myth and legend, and has left him with one foot in the natural world and one on the “other side.” His only human connection is with Leila (Megan Fox), whose life in a brothel has left her with scars of her own. But Jonah’s past is about to catch up with him when the U.S. military makes him an offer he can’t refuse: in exchange for his freedom from the warrants on his head, he must track down and stop the dangerous terrorist Quentin Turnbull (John Malkovich). But Turnbull, who is gathering an army and preparing to unleash Hell, is also Jonah’s oldest enemy and will stop at nothing until Jonah is dead. Based on the legendary graphic novel, “Jonah Hex” is an epic adventure thriller about one man’s personal quest for redemption against the vast canvas of the battle between good and evil.